Quitting smoking is difficult, often taking people years to accomplish the task, if at all. In the past, the drugs varenicline (Chantix) and bupropion (Wellbutrin) have helped a number of people quit smoking. A new study has found that if the drugs are used in conjunction with each other it may be more effective than using one or the other. Researchers looked at 315 smokers over a 12 week period. 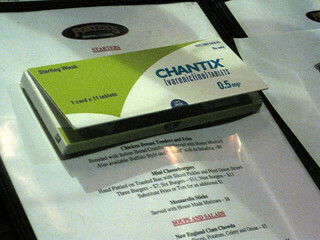 Patients who used both drugs had better results, compared with those who used only Chantix. After 12 weeks, 53 percent of those taking both drugs had quit smoking, compared with 43 percent of those taking Chantix alone. After a year, 31 percent who took both drugs were not smoking, compared with 25 percent who used Chantix alone, according to HealthDay. Researchers found that heavier smokers benefitted more from combination of the two drugs than lighter smokers.